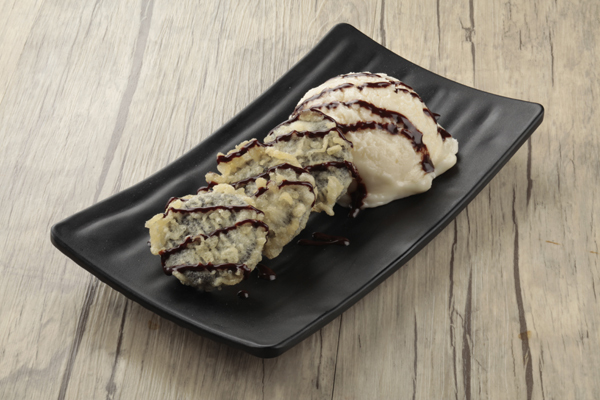 With 30 years later, Tokyo Tokyo still delighted us with innovative dishes as we relinquish the love of Japanese food. //embedr.flickr.com/assets/client-code.jsTokyo Tokyo would be family’s most loved restaurant. My son will always order Tonkatsu while my daughters crave for Shrimp Tempura. While me and hubby will always be a sushi aficionados especially their California Maki. Accompanied with unli rice and red tea, it would be a complete bonding moments for us. Sushi w/ Tokyo Tokyo is such a bliss intake. 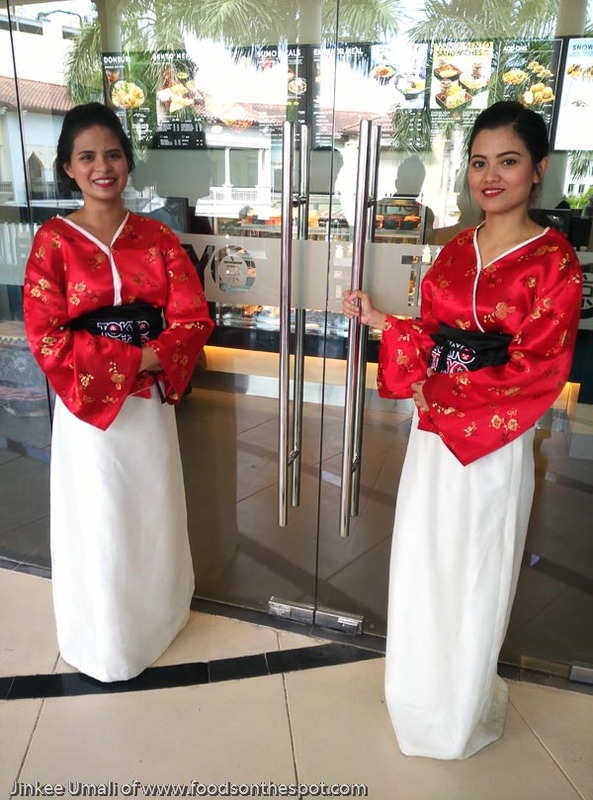 With 30 years serving these kind of dishes, still they did not stop innovating and added more while implementing a new store look to upgrade a Japanese dining experience. 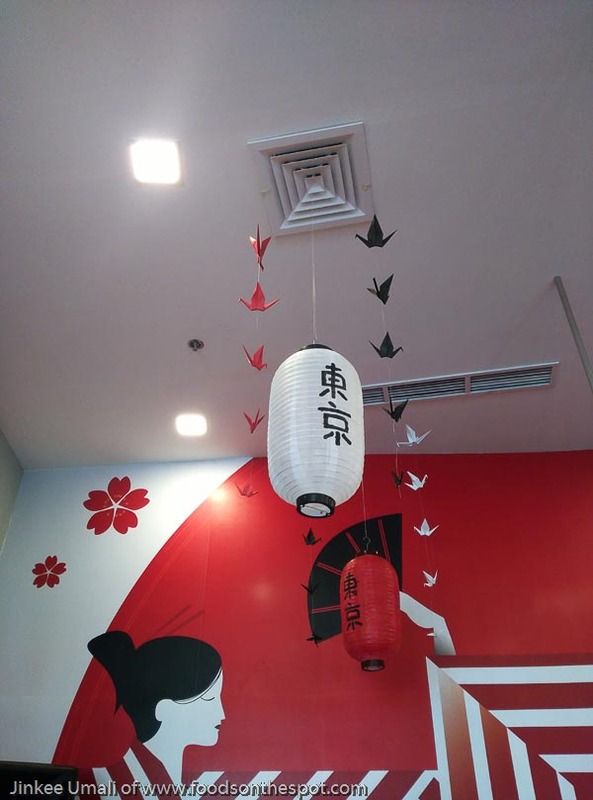 Still minimalist in design – wooden tables / chairs, hanging origami designs and painted Japanese knick-knacks on the wall. Once or twice a week, soup would always be part of my meal. If I can have it everyday, then it would be a comforting feeling – whether I cook it or rush to nearby Japanese restaurant, just to satisfy my gusto. 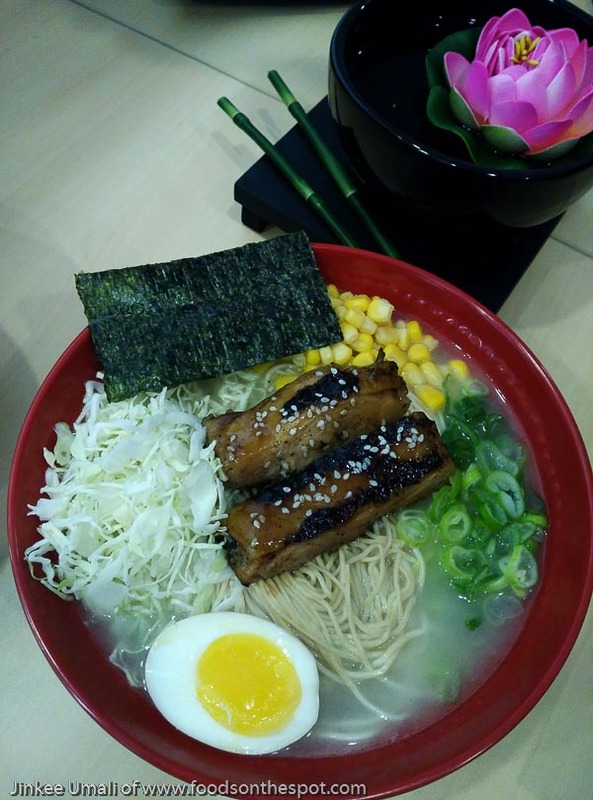 When Ramen craze started two years ago, the bulk of eating it was quite a burden in my pocket ranging between P 350 – P 500 in each bowl. I just tell it to myself, its authentic anyway. 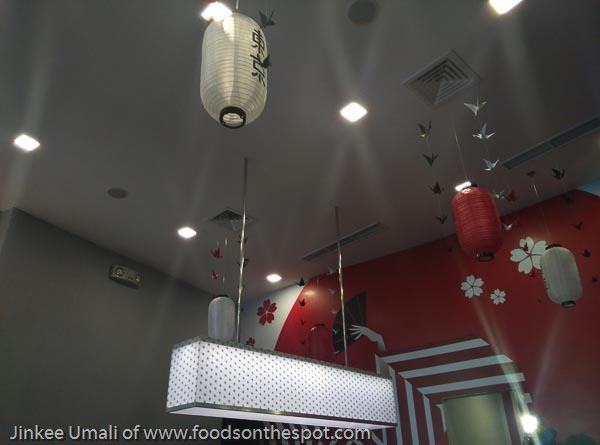 Good thing that Tokyo Tokyo offered variety of ramen yet sooo affordable. Little that I know that they already introduced it 3 years ago. 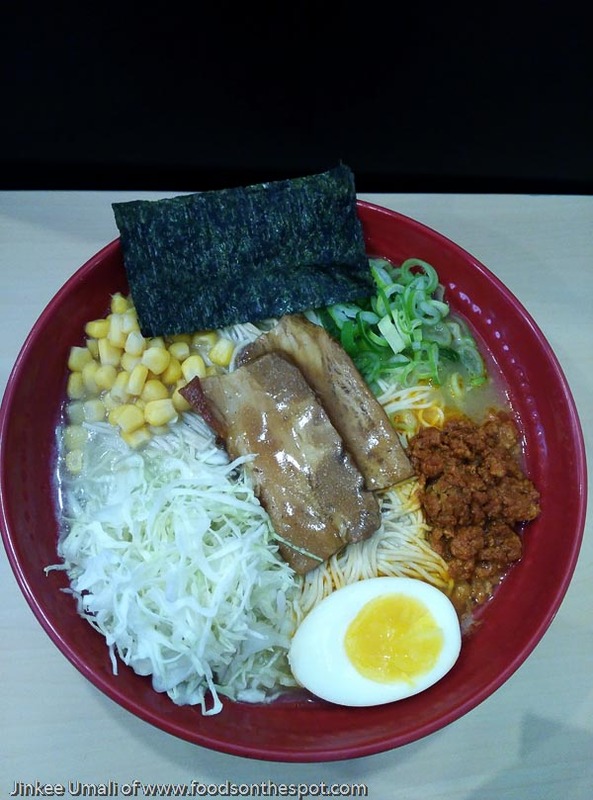 Because of the success, two new additions to its ramen line is introduced – Spicy Pork and Chicken Teriyaki that has the iconic Japanese snack in a whole new level. Priced at P190 for the regular size and P140 for snack size, these new flavors are perfect to soothe the craving. My fave, Chicken Teriyaki Ramen is made with smokey grilled chicken glazed mixed teriyaki sauce that made unexpected combo of savory and sweet all in a bowl of pork broth. A kick of lot of heat, Spicy Pork has a tender pork slices made with flavorful rich and creamy pork broth topped with spicy ground pork. These new flavors also come with corn, shredded cabbage, onion leeks, and nori and egg on the side. Have tried the regular size and for me, its huge. Both of them are spicy ramen. I still love the idea of controlling the spices that put in my bowl – subtle way to enjoy it more. Here, it was already done deal which I also suggested the really control it. Ramen in Chicken Teriyaki is love. Smoky flavor made the soup more comforting – a must try. 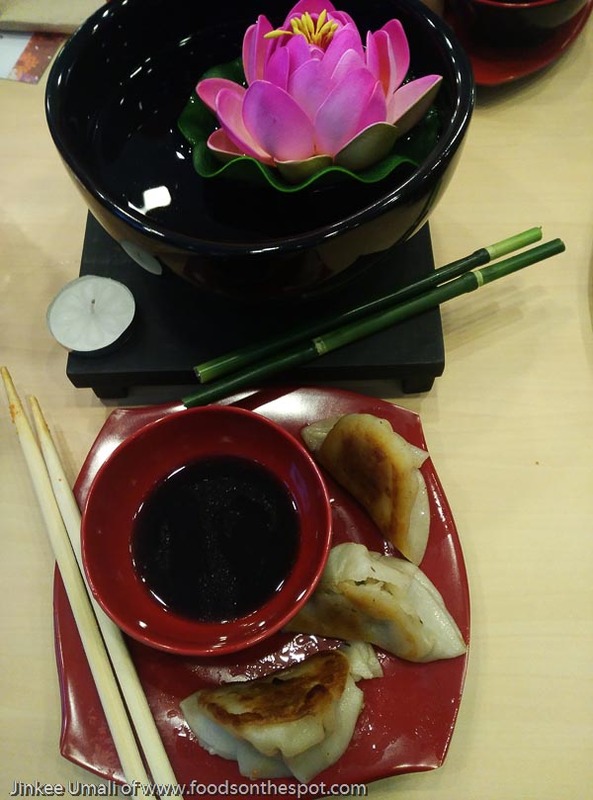 They have Gyoza which are soft dumpling that is savory and chewy with a delightfully crisp underside, that is a perfect partner to a steaming hot bowl of Specialty Ramen. With the launch, Tokyo Tokyo also introduces its first ever Dessert Bar. I go for light Japanese Matcha cheesecake – the color, the taste which is not so sweet made this dessert a health indulgence. Matcha cheesecake is such an innovative dessert w/ Tokyo Tokyo. 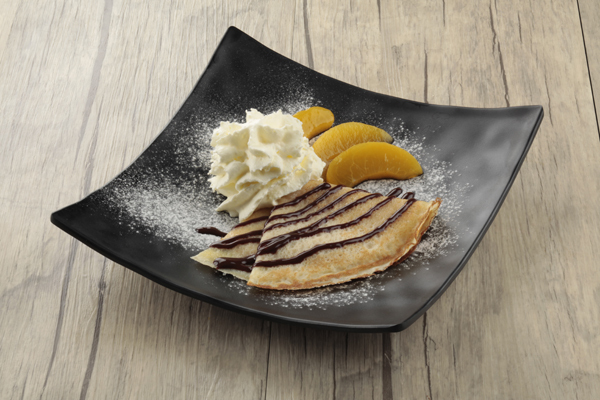 They have also decadent Hazelnut Crepe, luscious Dark Chocolate Mousse, smooth Fruit Crème, refreshing Lychee Jelly, warm Tempura Oreo Ala Mode and a variety of pastries such as the flakey Croughnuts and chewy Japanese Pon de Ring. 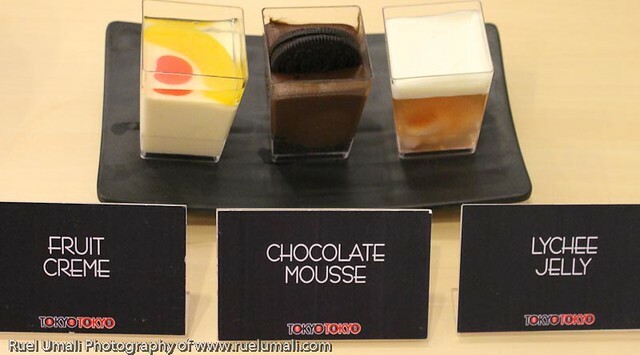 All these desserts perfectly partnered with freshly brewed Coffee preparations such as Café Latte, Capuccino and Iced Mocha which definitely would come back to try it with their dessert as a treat. Congrats Tokyo Tokyo. Over the years, quality, value, and abundance stand the test of time that made Japanese food affordable. Definitely, the best is yet to come as the brand’s future looks brighter than the rising sun.